Actor Alan Cassell, best known for 1980s dramas Special Squad and Taurus Rising, has died aged 85. He died last week according to an obituary notice. Cassell was born in Manchester, UK and began his acting career in Western Australia, performing in plays with Hole in the Wall theatre and TV productions alongside Coralie Condon & Ron Graham. He worked with the Sydney and Melbourne Theatre Companies, including with Lauren Bacall in Sweet Bird of Youth. He was one of the actors who worked in Bruce Beresford’s early Australian films. Film credits included Money Movers, Cathy’s Child, Squizzy Taylor, Breaker Morant, Puberty Blues, The Club, The Honourable Wally Norman and Strange Bedfellows. Cassell played the patriarch on Australia’s answer to Dallas, Nine’s 1982 Taurus Rising, but the series proved to be short-lived -despite having its very own lear jet. “I don’t like my character but I love the part,” he once said of tycoon Ben Drysdale. He played Det. Insp. Don Anderson on TEN police drama Special Squad and George Young on Neighbours in 1985. 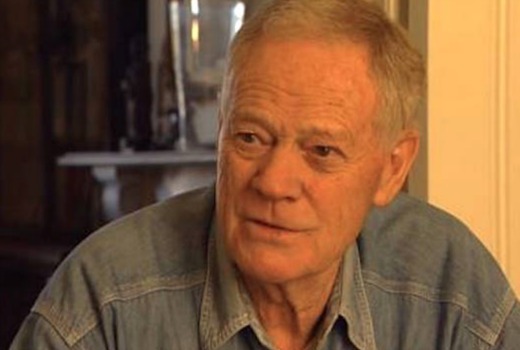 He accrued a long list of television roles including The Drifter, Falcon Island, The Flying Doctors, The Power The Passion, Bony, Janus, Halifax FP, The Micallef Program, Welcher & Welcher, Sara Dane, Vietnam, Blue Heelers, SeaChange, Stingers and MDA. Never heard of most of the other programs, but “Hal” from Seachange is a great loss. RIP. I recently watched a film he was in, The Club(along with Graham Kennedy etc). Very good actor.